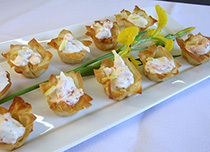 Champion Caterers has been catering for all manner of events for over 30 years. Your requirements are specific to you, whether you are organising a wedding reception, a corporate evening of canapés and champagne or a private dinner party at home. 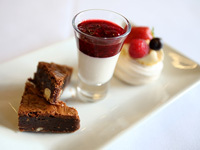 Our menus are created according to your type of event, tastes and budget. 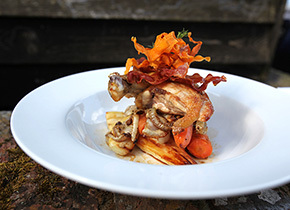 Since we first started catering, food and eating habits have evolved, as have the variety of ingredients and flavours. Some of the food we prepare now is very different, however, classic dishes have always been a firm favourite and we cater for all tastes and types of occasion. 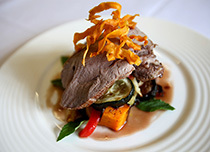 Champion Caterers has catered for many weddings in all styles and on all budgets. 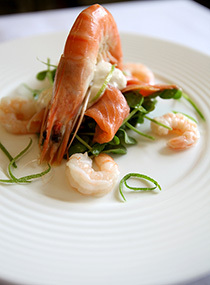 Our bespoke menus mean we create the mouth-watering food you wish to eat on your wedding day. All our clients are individuals and have very individual requirements. 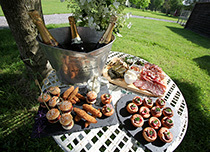 We take into consideration your personal requirements, the number of guests you wish us to cater for, the time of year your wedding will take place, whether you are wanting canapés while guests mingle while you are having photos taken, a hot or cold buffet, sit down meal or even a bbq or hog roast, perhaps finishing with a chocolate fountain. The decisions are endless and may seem daunting, but with our experience and friendly approach, we will guide you through. Champion Caterers will also provide all the crockery, waiters and waitresses to serve your food if required. Bar staff can also be provided on the day to serve drinks and we offer glass hire too. Our aim leading up to the big day is to minimise any stress and for you to have the confidence we will deliver the best. On the day you and your guests can relax and enjoy delicious cuisine. If you have a birthday or anniversary coming up, it may be worth considering Champion Caterers. Parties have a habit of becoming as daunting as organising a wedding, but we can alleviate all the worry by talking everything through leading up to your event, then providing all the catering services you need on the day, including all the crockery, glasses and then clear away at the end. If you wish to have nibbles and champagne, a chocolate fountain or an outdoor party such as a hog roast, Champion Caterers can do it all for you. 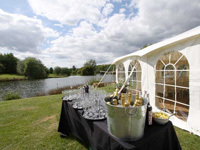 We work closely with a marquee company and are happy to liaise with them on your behalf. You may wish to entertain in the comfort of your own home and enjoy a lovely, personal way to celebrate with friends. We would meet and talk about how you see your evening in your mind, including menus, do you wish to offer canapés, perhaps a 5 course taster menu or a themed menu such as Moroccan or Thai or even medieval? 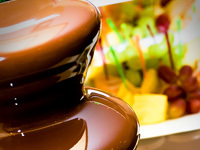 What's your favourite dessert or would you like to wow your guests with a chocolate fountain in which to dip marshmallows and strawberries? 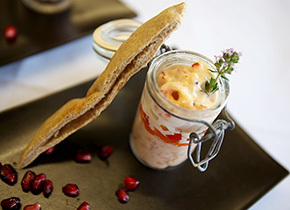 Champion Caterers brings all the ingredients, pots and pans, crockery, cutlery, glasses and waiting staff needed to provide you and your guests with a fully catered, delicious meal. You might be organising a Directors Lunch or feeding a ravenous bunch after a morning of team building, but when you have a busy schedule it is tricky organising food and drinks. Champion Caterers can offer an efficient service and allow you to enjoy a delicious lunch and get on with the rest of your day. 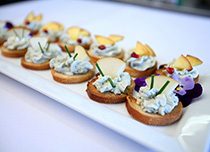 Champion Caterers can provide the catering according to the event you wish to hold, whether it is a cold or hot buffet, canapés or even a work bbq. We also ensure we provide all crockery, cutlery, glasses and waiting staff – as little or as much as you need. You sadly don't have the luxury of time when organising the catering for a funeral, however we always offer a friendly, sympathetic service and make things as easy as possibly for you. It can be difficult to know how many guests you will need to cater for so we will guide you through and offer advice from our years of experience. Champion Caterers will provide crockery, cutlery, glasses and if required, staff to assist with food and clear everything away afterwards. Molten chocolate cascading down never fails to delight everyone. 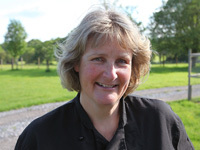 Independent and family owned, top quality food with a professional but friendly service.